Is E-Bike Motor Market Becoming Overcrowded? 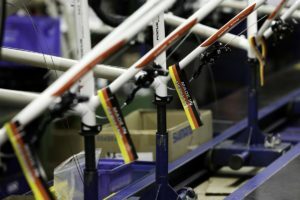 The best evidence of such dynamics featured last July’s Eurobike show. 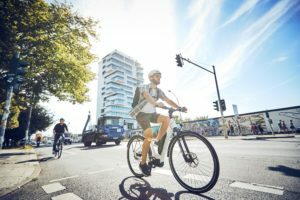 After Bosch, Continental and Brose, ZF is the next of the multi-billion euro car components multinationals to enter the (electric) bike market. The 40 billion euro and over 130,000 staffed company is for that brushing off a brand name that it had lying in waiting for decades to re-enter the marketplace where it once hold a leading position. Sachs is back. With the power of ZF, Sachs could turn into a serious competitor for the current leading supplier of e-bike systems; Bosch. At least, as the 2nd biggest car component maker in Europe (after Bosch) and 3rd placed in the world, the company can be regarded as having the capability to do just that. It’s also one of the goals it has set for itself. ZF is aiming at becoming a volume supplier of e-bike systems with production of the Sachs RS mid-motor to start in 2019. That motor is focused on the e-MTB segment as it offers a remarkable high torque of 110Nm, already at a low 60 rpm’s. 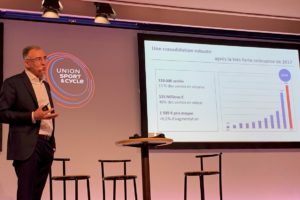 Interesting is also that ZF/Sachs, together with BrakeForceOne and Magura (they formed a joint venture company named Sachs Micro Mobility), presented it’s e-bike drive system including an ABS system. And one that thanks to its compact dimensions allows for frame integration. With this integrated anti-blocking brake system bikes are entering uncharted territory with sensors and actuators that combine electronics and hydraulic technologies. It’s bringing new standards to electric bicycles. 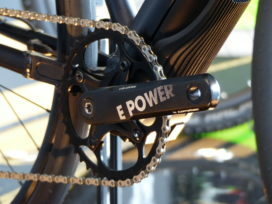 In addition to Sachs more newcomers in e-bike drives originating from the car industry debuted at Eurobike. Like Mubea and Metz while from China Zhejiang Star Union presented its Factor labeled drive system. Muhr und Bender KG, or Mubea Group, showed the fully sealed Mubea drivetrain which comes with a 4 kW motor, traction-uninterrupted shifting under load and low maintenance thanks to oil lubrication. Its compact and said to be easy to integrate into bike frames. Metz also has its roots in the automotive sector. 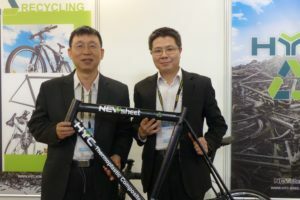 However, through the Daum group, that since 2015 owns Germany based Metz, it also has a background in e-bikes as well as bicycle ergometers. Metz mecatech introduced a very compact mid-motor that weighs 2.8 kg and offers up to 85 Nm of torque. This November’s Taipei Cycle Show featured even more newcomers supplying e-bike motors. 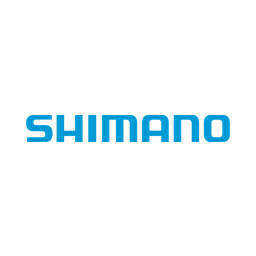 Companies like Vinka (from Japan), Hycore (from Korea) and Shengyi (from China) launched their e-bike systems which is for Vinka a mid-motor equipped with torque, cadence and direction sensors for 25km/h e-bikes as well as speed pedelecs. Vinka offers a complete e-bike system including batteries made in China. Korean Hycore presented an e-bike wheel which integrates a 180W motor with detachable batteries offering 168Wh. The complete wheel (including rim and tyre) weighs 6kgs and is a 26 inch type. Chinese Shengyi presented its CMT01 500W – 90Nm mid-motor which with a weight of 4.6kgs is targeting Cargo Bikes. All this means that it’s getting crowded at the motor systems marketplace. Overcrowded? 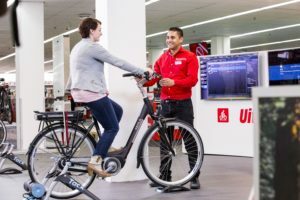 That’s doubtful taking in mind that by 2025 annual revenue of the e-bike motor market is expected to stand at some 7 billion euro.